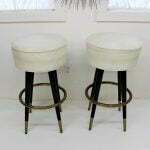 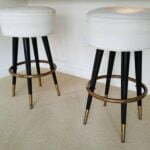 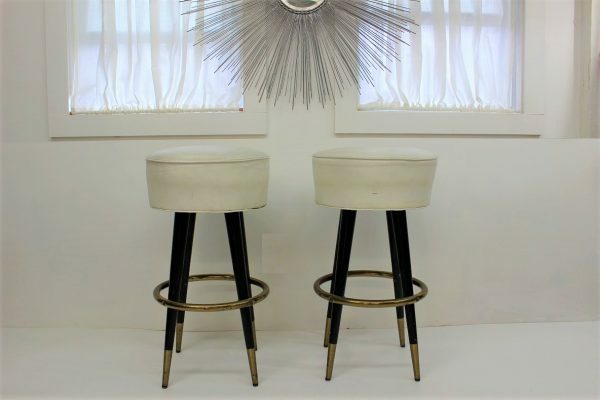 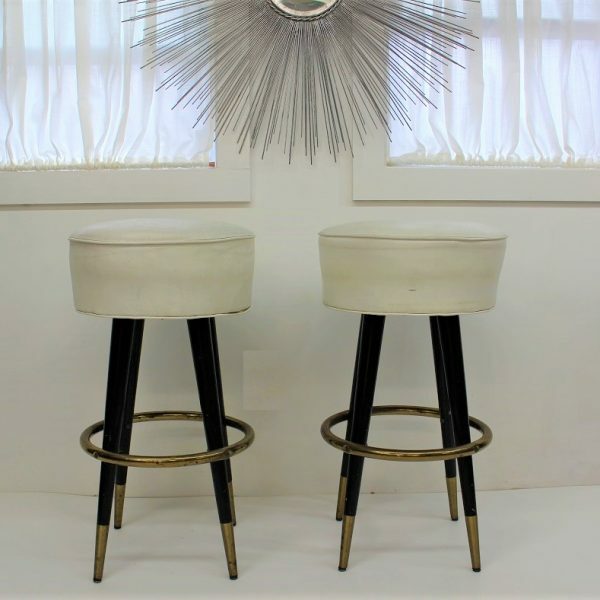 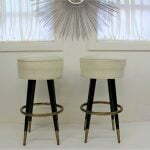 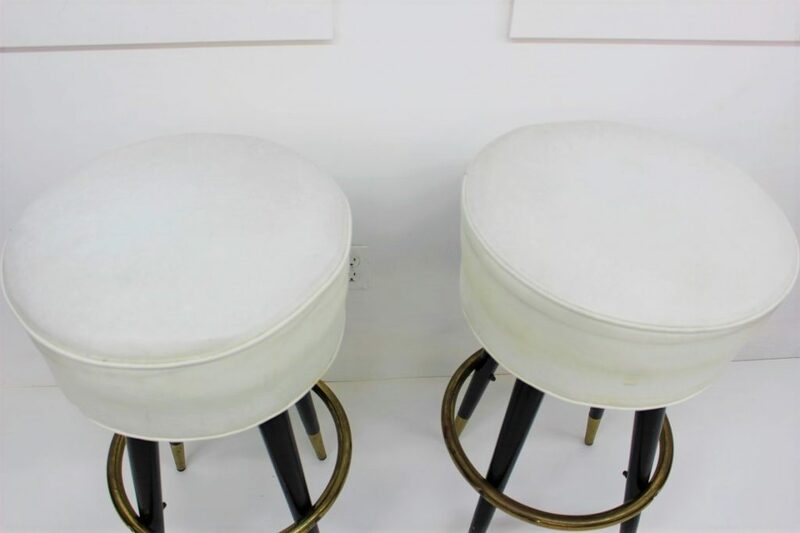 These beautiful white vinyl bar stools come to you with a simple and elegant design. 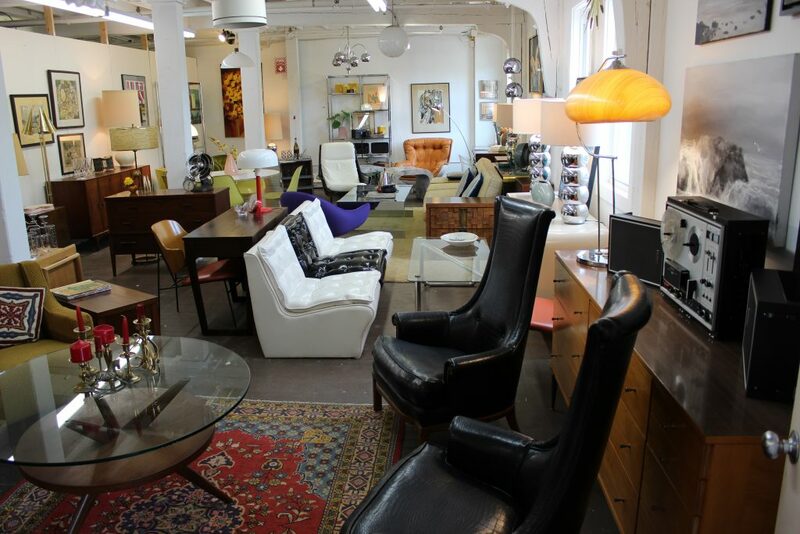 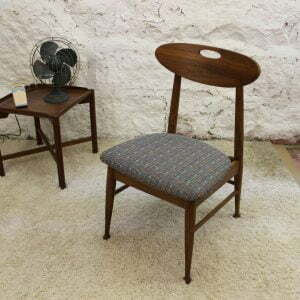 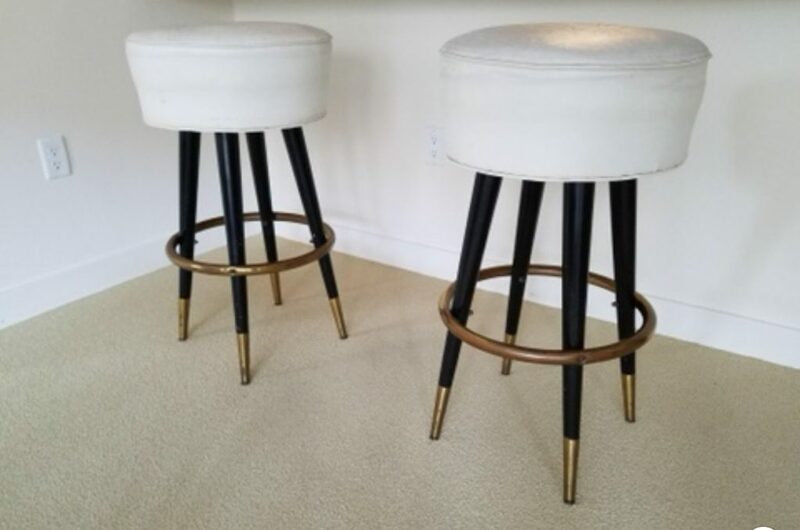 Very classic Mid Century Modern from the 1950’s. 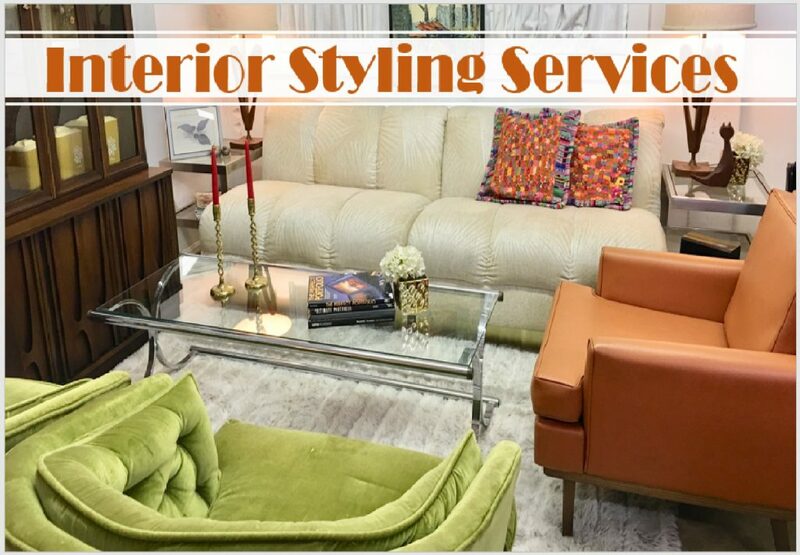 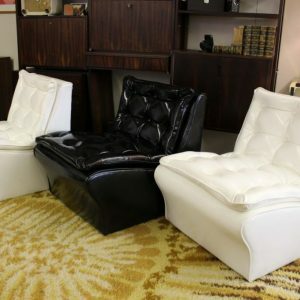 The white upholstery is in good vintage condition. 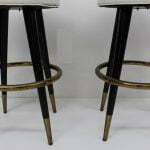 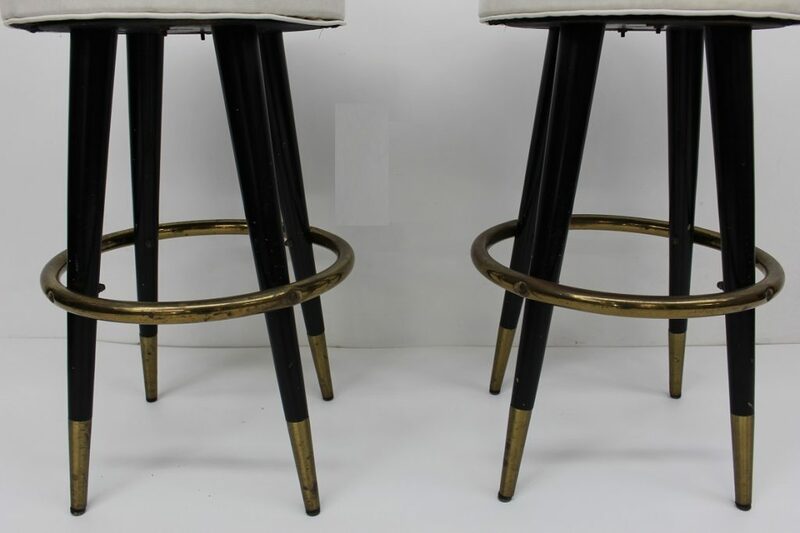 The legs are made of wood with a footrest and feet in gold with a brass finish. 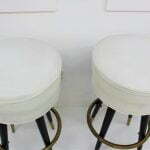 They are a little bit hard but they swivel to let you rotate and have a conversation with the person sitting next to you. 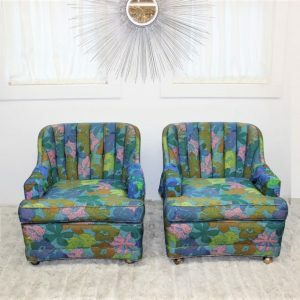 They are wide so you can be very comfortable in them. 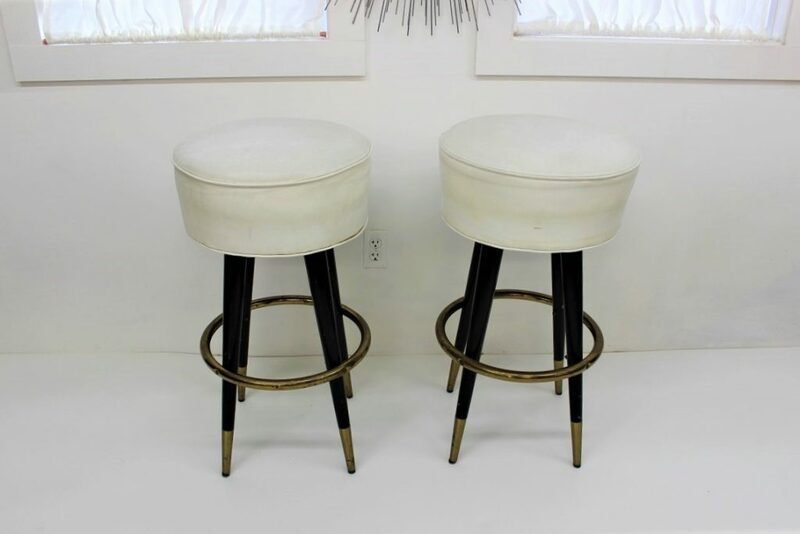 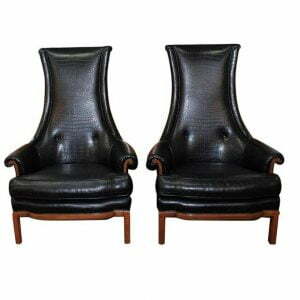 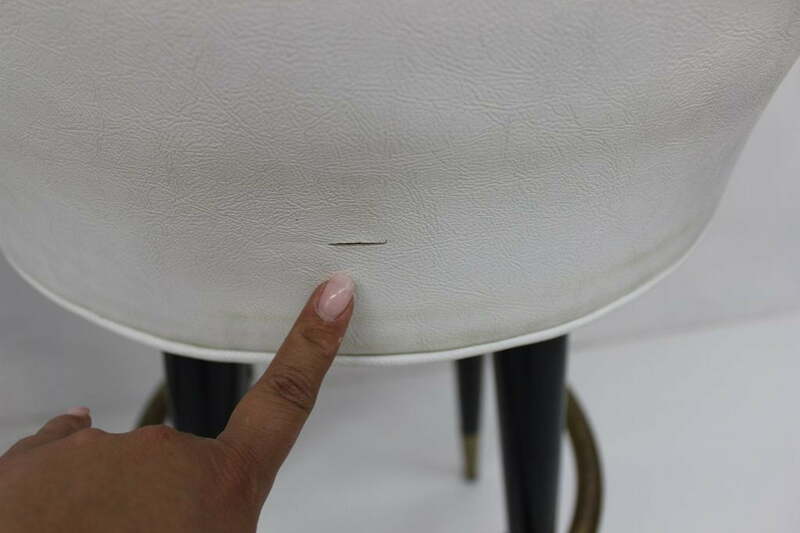 As they stand they measure 32″ high and 17″ diameter, the height of the footrest is 12″ from the floor.